Two close friends, who are divorced, share an apartment. 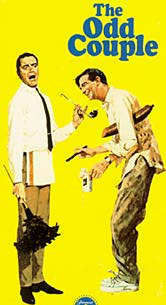 The perfect cast includes: Jack Lemon, Walter Matthau, John Fiedler, Herbert Edelman, David Sheiner, and Monica Evans. The wonderful screenplay is by Neil Simon - based on his play.